THIMPHU, Bhutan - The king of Bhutan on Thursday urged his people to be on their guard against corruption as their once isolated Himalayan nation grows more prosperous. 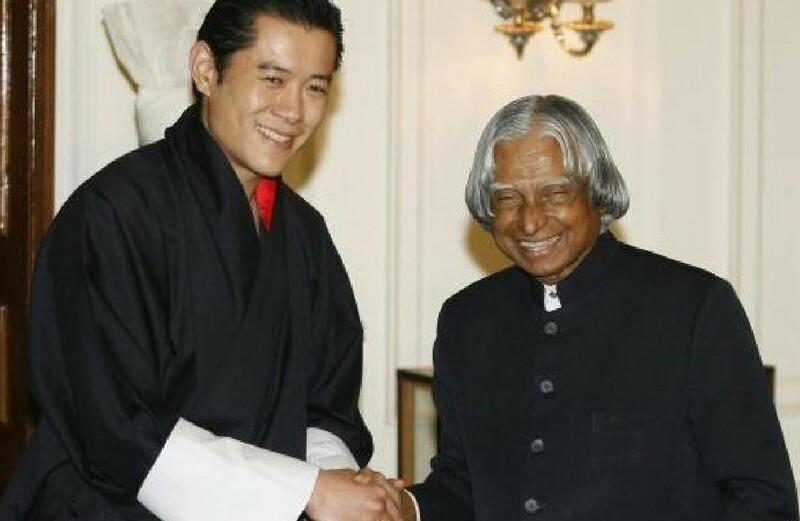 King Jigme Khesar Namgyel Wangchuck said corruption - a scourge of Bhutan's wealthier neighbours India and China - was the greatest potential threat to his country's development. "The highest probable risk to development that I foresee is corruption," he said in a national day speech. "Our national development efforts will be hindered by unchecked corruption." 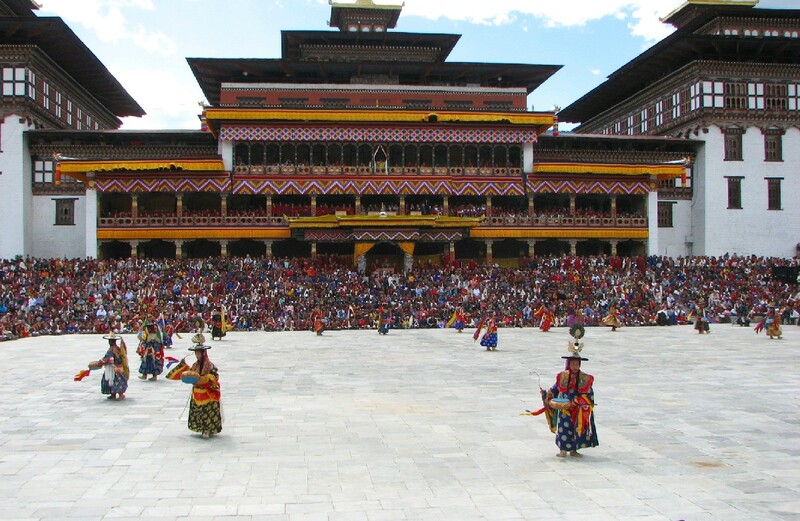 Bhutan is the only country in the world to pursue "Gross National Happiness", a development model that measures the mental as well as material well-being of citizens. The king said that while it was good for the country to have ambitions of greater wealth, "we must also realise that increased workload compounds associated risks". Bhutan has developed rapidly in recent years, as a new democratically elected government brings roads and electricity to rural areas. The tiny kingdom was famously the last country to get television, finally embracing it in 1999, at a time when less than a quarter of households had electricity. It ranks 30th on Transparency International's corruption perception index - up from 45th position in 2008 and way above India at 85 and China at 100. Nonetheless, there have been instances of official corruption. Bhutan's 26-year-old crown prince, with his movie star looks, has become the latest hearththrob for Thai women after attending celebrations honoring the Thai king's 60th anniversary on the throne. His Majesty Jigme Singye Wangchuck, the Fourth King (R) crowns His Majesty Jigme Khesar Namgyel Wangchuck as the Fifth King of Bhutan at a ceremony in Thimphu on November 6, 2008. 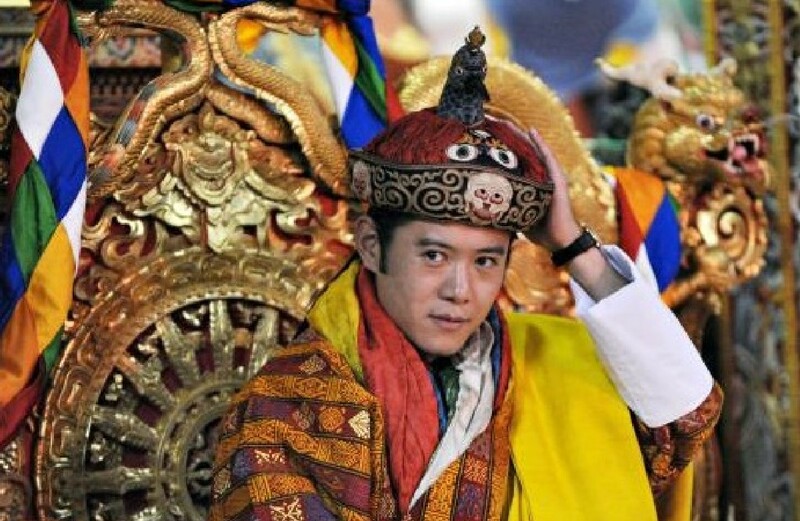 The new king of Bhutan, Jigme Khesar Namgyel Wangchuck, holds his crown at the Tashichho Dzong Palace in Thimphu on November 6, 2008. 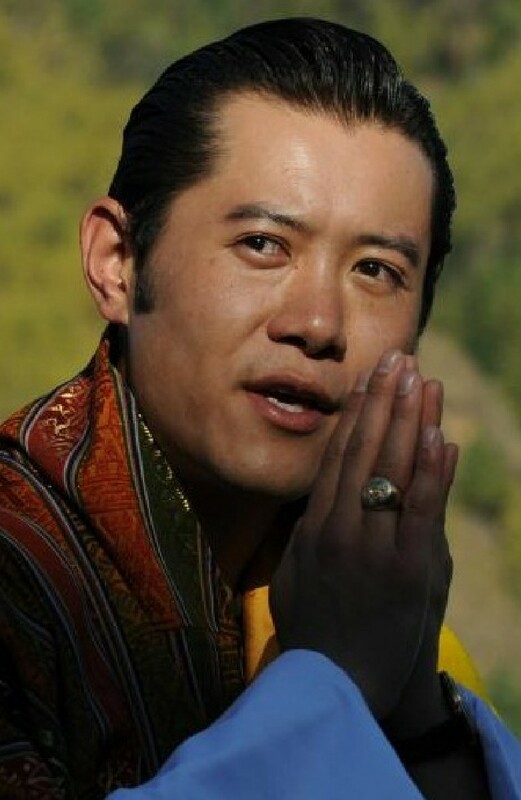 Bhutan's King Jigme Khesar Namgyel Wangchuck, 31, is set to marry student Jetsun Pema, 21, the daughter of an airline pilot, on 13 October 2011. The main wedding ceremony will take place in a stunning 17th-century fortress surrounded by mountains and built at the confluence of two fast-running rivers in the ancient capital of Punakha. Bhutanese King Jigme Khesar Namgyel Wangchuck (L) and his wife Queen Jetsun Pema pose for a photograph during a visit to offer prayers at the Mahabodhi Temple in the Indian town of Bodhgaya on October 5, 2014. Bhutan's King Jigme Khesar Namgyel Wangchuck (2nd L) and Queen Jetsun Pema (R) emerge from arch-shaped passages as they visit the Rock Garden in the northern Indian city of Chandigarh October 5, 2014. 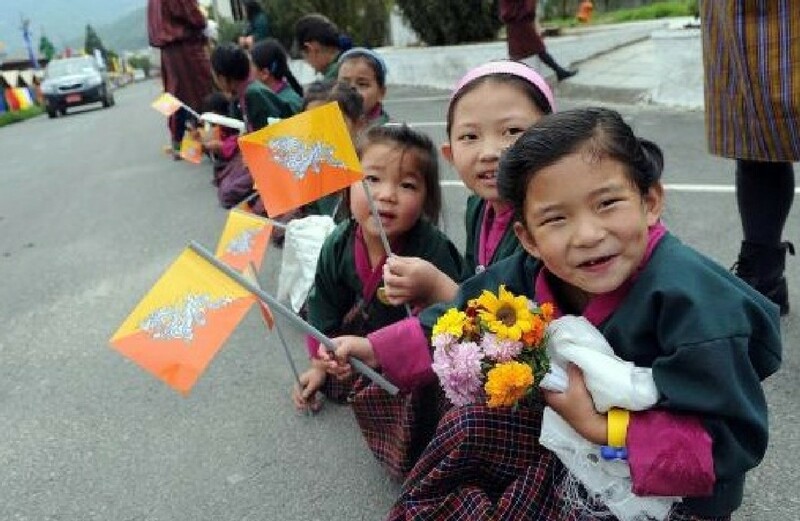 Bhutanese school children wave the national flag of Bhutan as they wait for the arrival of the royal couple, King of Bhutan Jigme Khesar Namgyel Wangchuck and newly crowned Queen Jetsun Pema in Thimphu in Bhutan on October 14, 2011. Salvatore Ferragamo, which has been shodding celebrities and royalty for 80 years, has done it again. 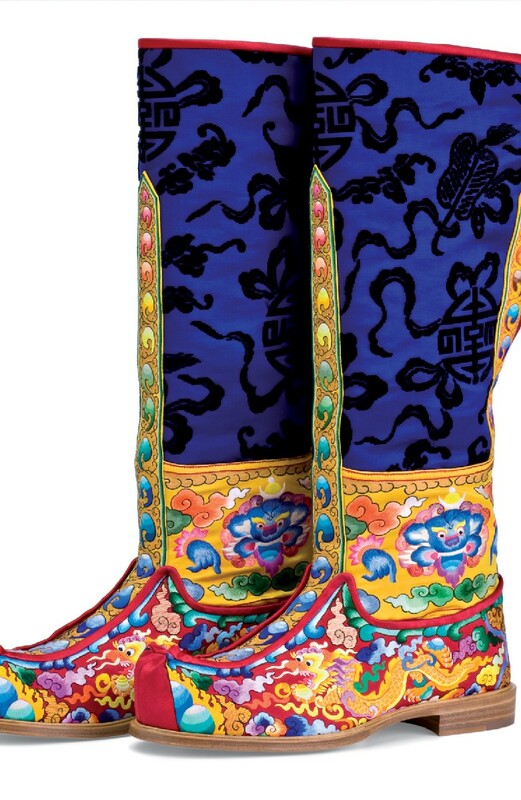 The Italian fashion house handcrafted a pair of boots specially for the new Bhutanese king Jigme Khesar Namgyel Wangchuck. 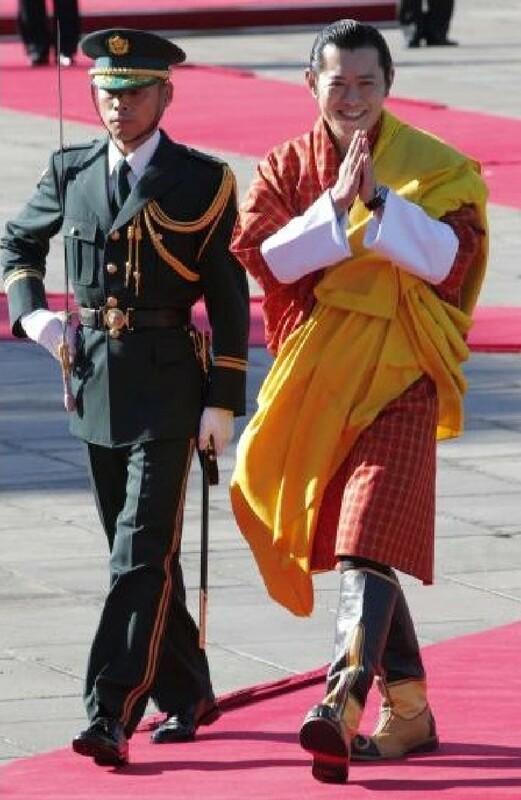 The isolated Himalayan kingdom of Bhutan crowned a new king, placing a charismatic Oxford-educated bachelor as head of state of the world's newest democracy. 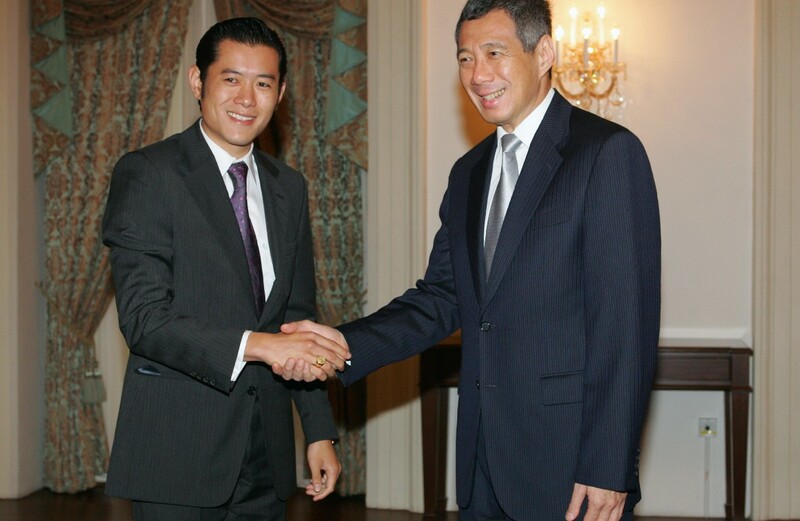 Bhutan's Crown Prince Trongsa Penlop Jigme Khesar Namgyel Wangchuck (left) called on Prime Minister Lee Hsien Loong at the Istana on 24 August 2006 (Thursday). 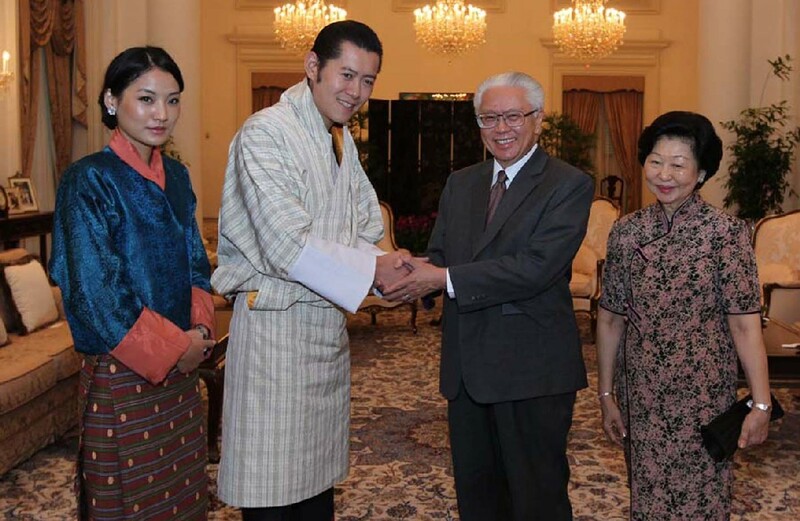 Bhutan's King Jigme Khesar Namgyel Wangchuck and his wife, Queen Jetsun Pema, meeting President Tony Tan Keng Yam and Mrs Mary Tan on 1 November 2011. 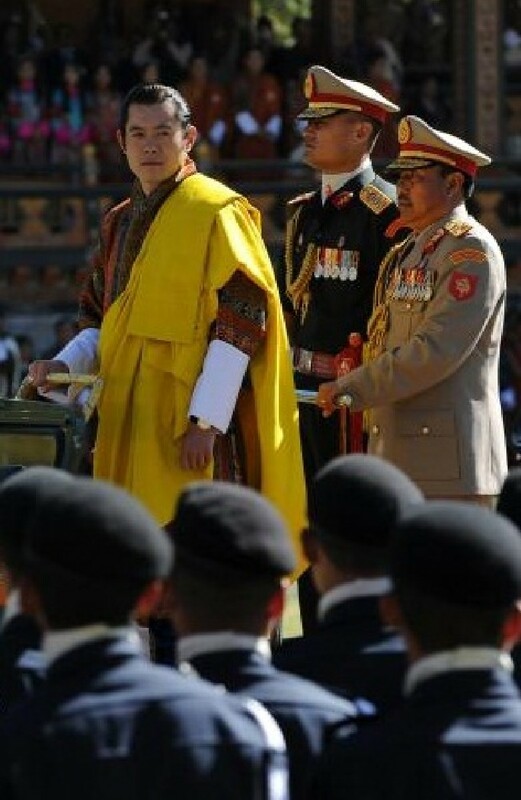 Bhutan's King Jigme Khesar Namgyal Wangchuck attends a welcoming ceremony at the Imperial Palace in Tokyo on November 16, 2011. 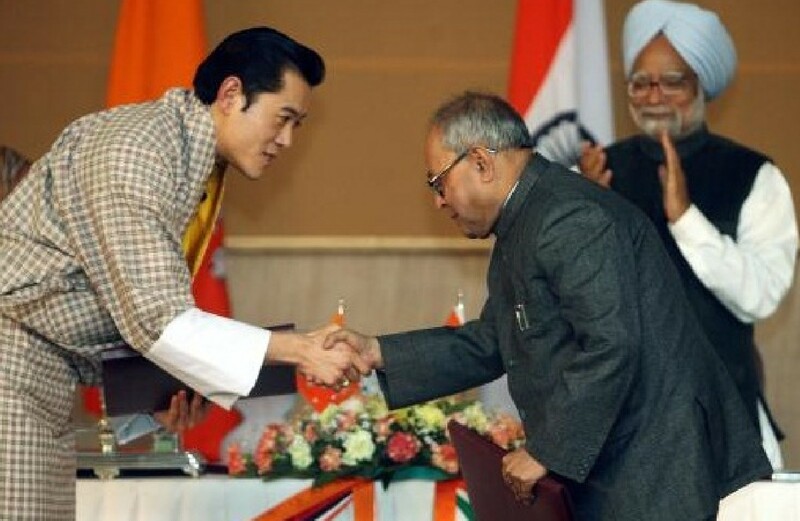 King of Bhutan Jigme Khesar Namgyel Wangchuck (L) shakes hands with India External Affairs Minister Pranab Mukherjee (C) after exchanging a friendship treaty as Indian Prime Minister Manmohan Singh (R) applauds them in New Delhi, 08 February 2007. 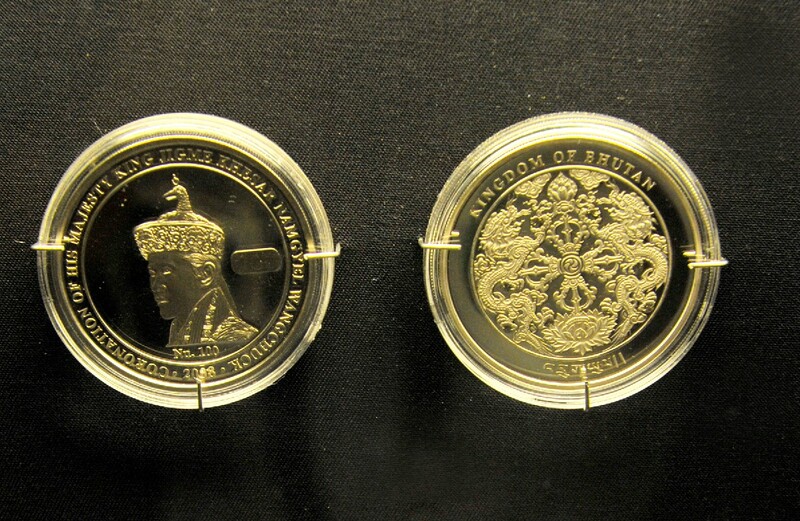 Coins commissioned by Bhutan to celebrate the coronation of King Jigme Khesar Namgyel Wangchuk in 2008. Last week, three senior civil servants were removed from the foreign ministry after they wrote to the Indian government to complain about a magazine article alleging official corruption in Bhutan. Local reports said they were being punished for sending the "strongly-worded" letter without the approval of the government. The government is investigating the corruption allegation, which related to commissions for the awarding of state contracts. Many Bhutanese feared that a 2008 shift to democracy would be accompanied by corruption once politicians took over the reins from their widely revered king. 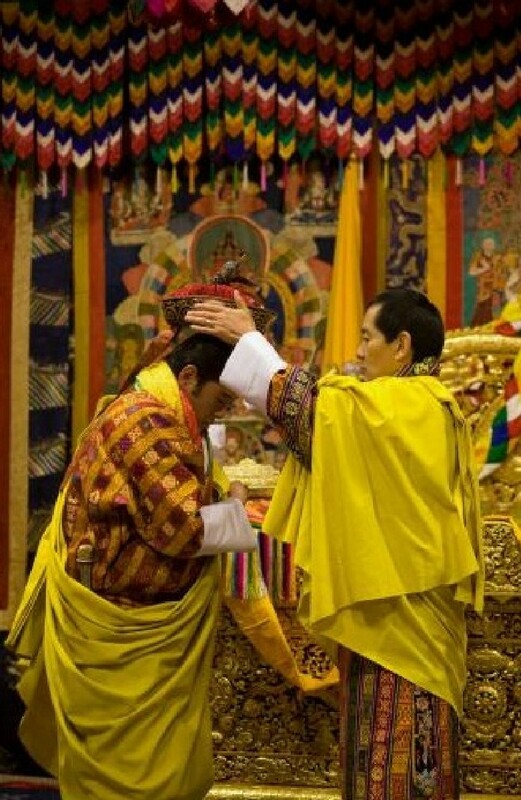 Tenzing Lamsang, editor-in-chief at local newspaper The Bhutanese, said the monarchy had been instrumental in keeping a check on government corruption. "His Majesty the King has constantly stressed on the dangers of corruption and recognised anti corruption efforts," Lamsang said. "With the monarchy still having a strong influence on the hearts and minds of ordinary Bhutanese, such messages are taken seriously and have a strong societal impact."